We’re happy to introduce Ohana 3 Piece Rocking Bistro Set! With fresh modern take on a classic rocker, this rocking chair set provides the perfect spot for coffee, reading or winding down after a long day. Quick assembly will let you have a rocking good time in no time! Get Ready for First Day of Spring! Spring is right around the corner! March 20th is the first day of Spring. Are you ready? Whether your space is big or small, we have sets that suit 2 people to 10 plus! Lead time is 2 to 4 weeks on most of our furniture sets which means right now is the time to order. 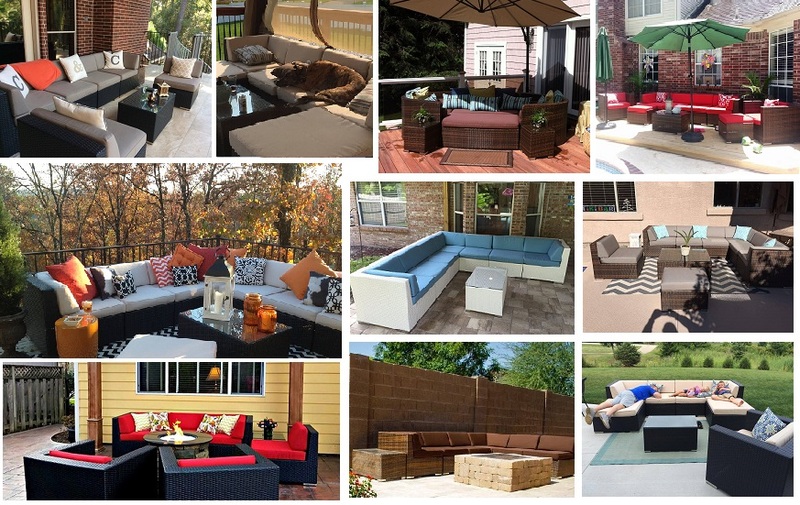 Take advantage of our Spring Sale going on now and greet warmer days with your outdoor space ready to go! 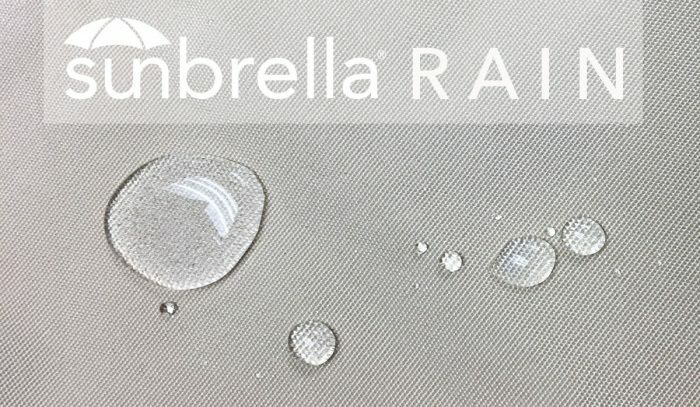 New year, new item! 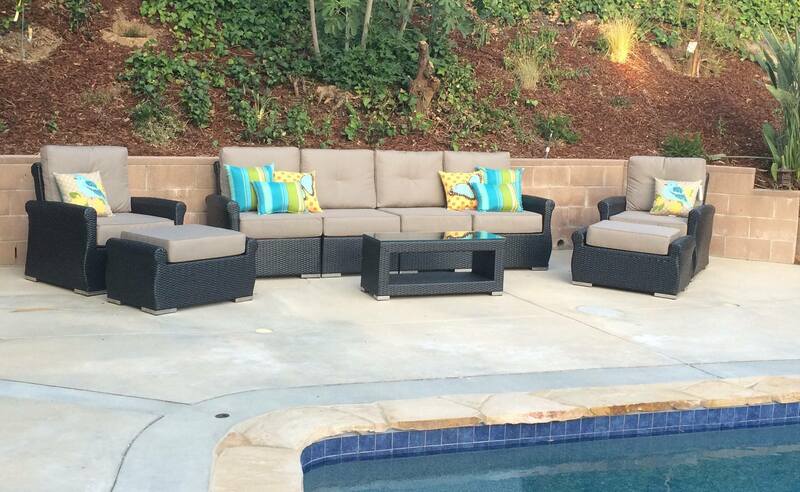 We’re excited to introduce 8 Piece Curved Deep Seating Sectional Set! Curved chair is designed to work with Ohana Collection Deep Seating Sets to allow for modifications to create an intimate seating group. 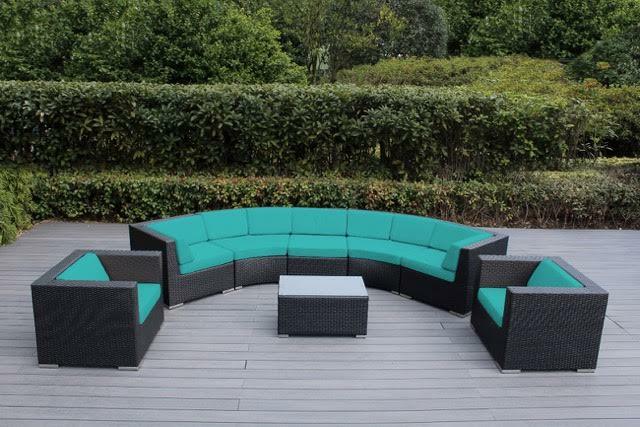 Enjoy curved seating with your family and friends! We’re excited to introduce Ohana Teak Collection! 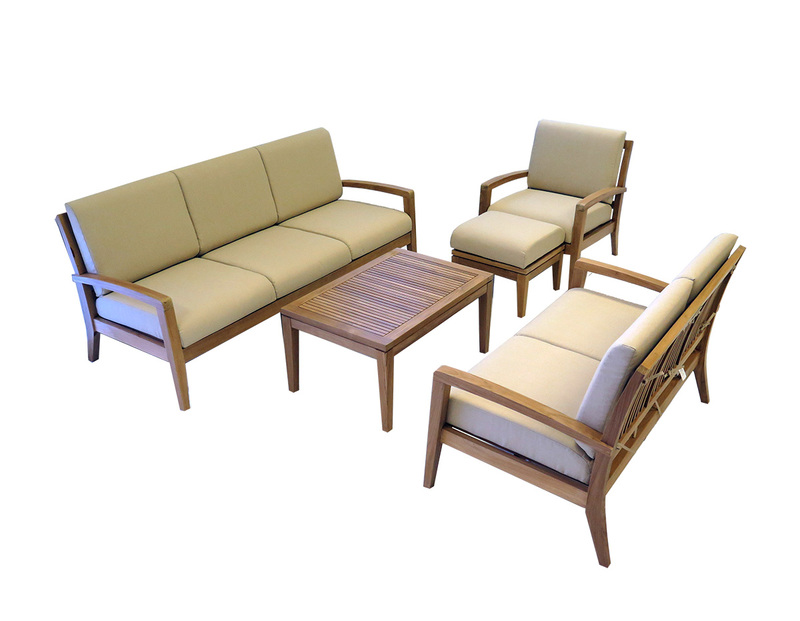 Handcrafted with premium Grade A teak hardwood, Ohana Teak Collection offers long lasting comfort. 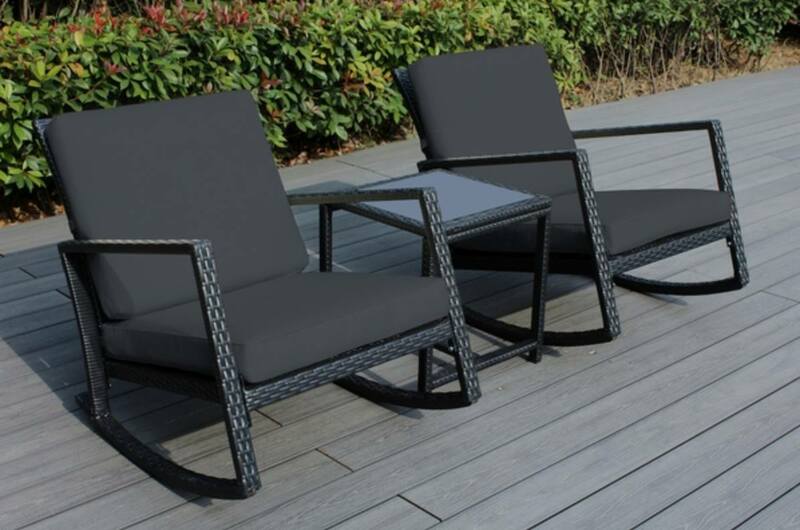 Known for their strength and durability, teak furniture weathers elements year after year, developing a beautiful silver grey patina if left untreated. Angular seating with tapered legs and fully concealed hardware keeps lines simple and clean for modern classic profile. 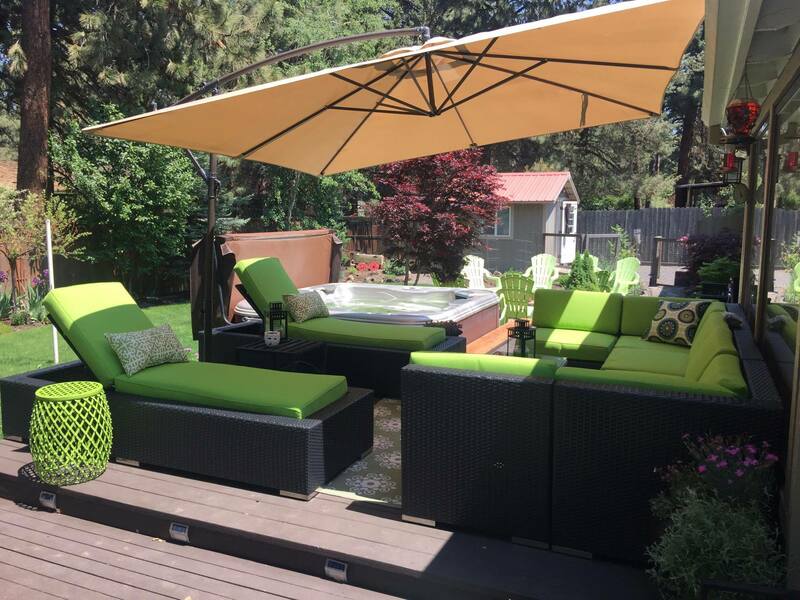 Combine warmth of wood with comfortable cushions covered in all-weather fabric and you can experience indoor comfort in a sophisticated outdoor seating set. Are you enjoying your Ohana furniture set? Please share a photo of your set with other. Not only is it fun, but it’s also helpful to see how people decorate and enjoy their furniture. So, go ahead and show off a little! Share by messaging us your photo on Facebook or tag #ohanadepot in Instagram. Ever wondered what dining set looks like in Gray wicker? 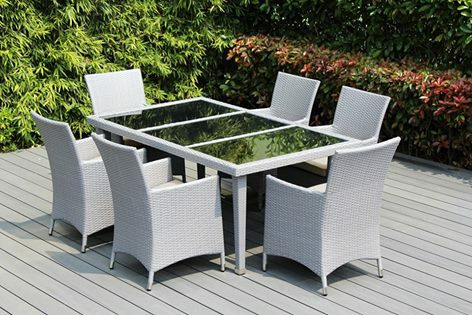 Gray Wicker Dining Sets are finally here! 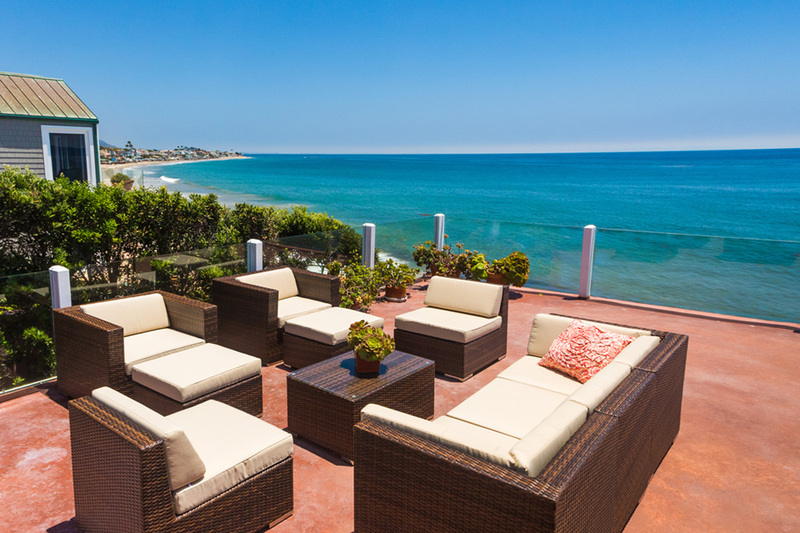 They’re available along with Deep Seating Sets and Chaise Lounge Sets.